Curious, inspired by the atmosphere of my Aftel Archive of Curious Scents, is a smoky musk perfume, with notes of dried fruit and precious woods. I adore tobacco absolute and think of it as the ultimate botanical musk note, especially when paired with the sweet mossy apricot-like hay absolute. An airy smokiness laces through the perfume from the opening to the ending, -- burnt fruitwood and caramel. Mesmerizing orange leaf absolute, like a green orange, is refreshingly tart, animalic, and indolic. Curious opens with creamy and smooth wood brightened with dirty citrus and punctuated with spice. The texture of the perfume is like soft fur. ♫ Fragrant Notes: tobacco, hay, smoke, orange leaf, Siam wood, dirty grapefruit. When you purchase this 8ml flaçon, we include an empty 2ml Mini bottle, for you to fill. A perfect portable version of your perfume! Curious is immediately beautiful... It is a smoky, sooty leather shot through with singed orange peel and sunburnt hay. It is curiously balanced between refinement and something more rugged, more outdoorsy. So, on the one hand, that greenish leather note comes across as very slim, crisp, and urbane, but there is a distinct whiff of countryside too, by which I mean there is an undertow of melting tar and field crops, especially the warm, beery smell of the hops they feed to cows, or oat berries that have fermented slightly under the sun. I catch myself sniffing my wrists often as if expecting a new treasure. The light layer of tobacco and smoke shows restraint, adding intrigue without being overwhelming. Sweet hay and creamy Siam wood add wisps of sensuality without being flashy. Dirty orange and orange leaf brightens up and balances out the smoke and musk. I find Curious challenging to classify: its initial explosive burnt wood smoke note is sweetened by an extraordinary French absolute utilizing every imaginable part of the bitter orange: blossom, twig, leaf. 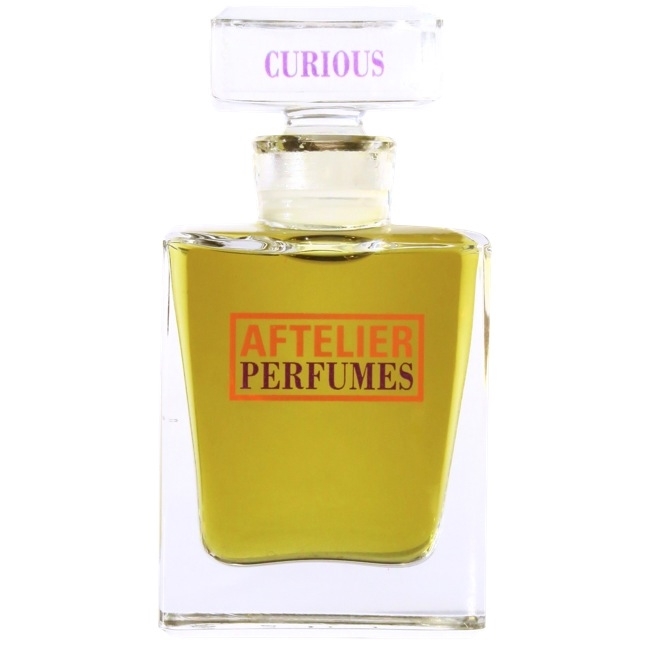 Curious satisfies many cravings – sweet, tart, nutty, smoky, balsamic, wood-singed, wantonly floral. Chiaroscuro comes into play: illumination by means of sun and flame, a cool sip of tart juice commingled with creamy sagacity of unkindled heartwood. The unbridled sensuality of blossoms on the verge of last exhalation. Such a macrocosm in every tiny drop.